When Georgia Hunter was fifteen years old, she learned that she came from a family of Holocaust survivors. We Were the Lucky Ones was born of her quest to uncover her family’s staggering history. Hunter’s website, georgiahunterauthor.com, offers a behind-the-scenes glimpse at the extensive research this project has entailed. She lives in Connecticut. 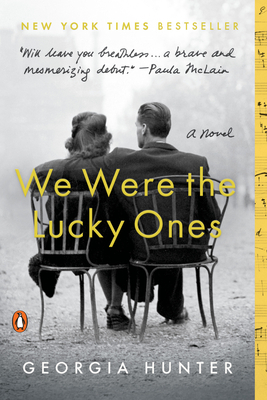 “We Were the Lucky Ones is the most gripping novel I've read in years. Georgia Hunter pulled me into another world, vivid, horrifying, astonishing, and heartbreaking.” —Lauren Belfer, New York Times bestselling author of And After the Fire, A Fierce Radiance, and City of Light.